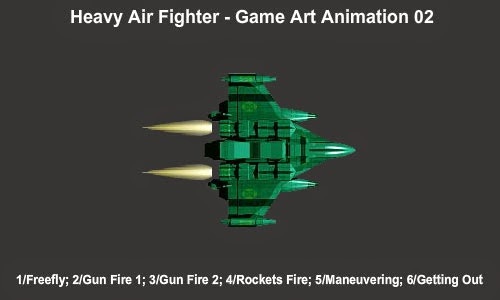 A set of 6 vehicles animations of a air fighter. Built for easy graphics swapping, but feel free to use the animations, some activity or parts included in your game projects. Everything is well organized in folders. All parts have been given on movie clips, for easy access and coding. You can customize them and use them easily on your projects. Modify postion and duration frames or simply modifying the position on the motion tweened animations. Animation Sample runs at 30fps. Graphic Art Source in png files included.